Two legendary Motown groups are teaming up for a night of memorable hits and classic dance moves as they return to the Luhrs Center this February! 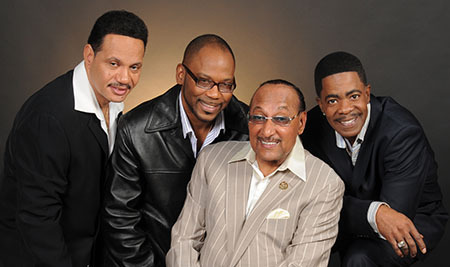 All around entertainment legends The Temptations stand as not only the greatest vocal group of Motown Records’ golden era empire; the quintet is indisputably the greatest singing group of all-time. The Temptations are world renowned ambassadors of soul, conscience and style with 16 million selling LPs, 14 #1 R&B singles, three Grammys plus induction into the Grammy Hall of Fame, membership in The Vocal Group Hall of Fame, induction into The Rock N’ Roll Hall of Fame, a Star on the Hollywood Walk of Fame, and nearly 100 R&B charted songs including hits such as “My Girl,” “The Way You Do The Things You Do,” “Since I Lost My Baby,” “Get Ready”, “Ain’t Too Proud To Beg”, “I’m Gonna Make You Love Me” (with The Supremes), “Ball of Confusion,” “Papa Was A Rollin’ Stone,” “Just My Imagination (Running Away With Me),” “Treat Her Like a Lady,” “Stay” and more.